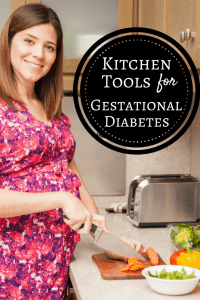 After a gestational diabetes diagnosis, you will probably start cooking more and eating out less. 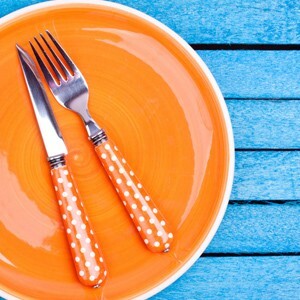 It’s not that it’s impossible to eat out with gestational diabetes, but it’s easier to count your carb servings if you know exactly what’s in the food you are eating. 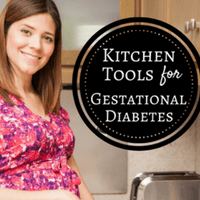 The following gestational diabetes kitchen tools will help you manage your gestational diabetes by making meal prep easier. 1. Measuring Cups, Spoons, Etc. You probably already have these in your kitchen right now. It’s time to dust them off and start using them. Everything won’t need to be measured, but it will be important with carbohydrates. For example, 1/3 cup cooked pasta is considered one serving of carbohydrate (15 grams). Unless you’re using measuring cups or weighing the pasta beforehand, you won’t really know how much you’re eating. Measuring spoons aren’t quite as critical for measuring carbs, but they are helpful for measuring fats (oils, salad dressings, etc.) And finally, a measuring cup for liquids will be helpful for milk. Yes…milk is a carbohydrate. 1 cup of milk counts as 1 serving of carbohydrate! So, measuring is essential! This goes along with the measuring cups and spoons, but weighing and measuring your food will help you know exactly how much you are eating. A food scale will make your life so much easier when entering your food on a food log and blood glucose tracker. Eating a 4 ounce bagel will probably make your blood sugar spike, whereas you might be able to get away with eating a 2 ounce bagel. Might. Ultimately, your blood sugar tests will let you know how you’re doing. 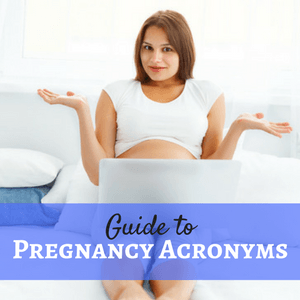 And bonus… you can use it as a postage scale once your bundle of joy arrives! 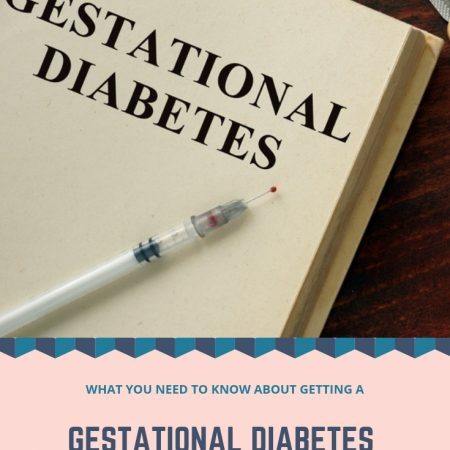 I really wish I had known about this when I had gestational diabetes. With a veggie spiralizer, you can make “noodles” from vegetables. Making zucchini noodles is my favorite, but they can also be made from carrots, beets, cucumbers, turnips, butternut squash, and broccoli. And yes…you can also spiralize potatoes! And if you’re looking for some great recipes for spiralized veggies, check out 2 cookbooks here and here. Since protein will become the focus of your meals, you might start eating more eggs. A nonstick skillet will make your life so much easier when making scrambled eggs or omelets. Just make sure that you’re not making the eggs “over easy” since undercooked eggs are a food safety concern for everyone, but pregnant women in particular. Packing your lunch and taking it with you will also help you keep you manage your gestational diabetes. And to make sure food stays at a safe temperature, I recommend using an insulated lunch bag along with ice packs. These are super-easy to find in stores during the back-to-school time, but they can be ordered from Amazon year-round. When you start cooking more, that typically means more leftovers! And these microwaveable containers are perfect for storing (and freezing) leftovers that need to be reheated. 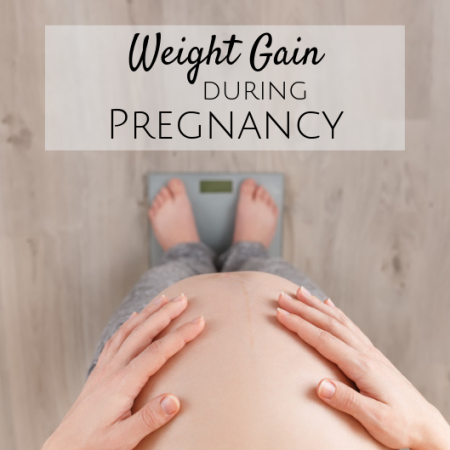 Toward the end of your pregnancy, you might even want to use these for make-ahead meals that will come in handy during those first few weeks and months when cooking dinner is the last thing you want to be doing! 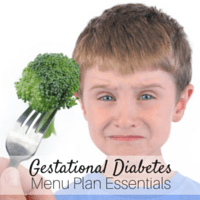 Although this list isn’t all-inclusive, it should give you a good start in preparing meals that work with your gestational diabetes. What are some of your must-have kitchen essentials that come in handy in preparing meals? Let me know in the comments below!